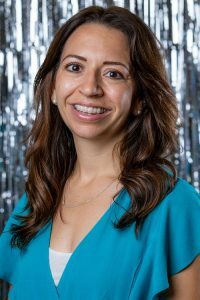 Catherine Alonzo is the Co-Founder and CEO of Javelina, a change-engineering company that is working to advance equality and human dignity through social, political and economic change. Bringing together strategies from the worlds of marketing and political campaigns, Javelina works with their nonprofit, business and political clients to change the world through powerful storytelling and movement building. She is dancing for Arizona’s Children Association because she knows that foster care and adoption are essential to ensuring every child grows up in a loving home – a vision she is passionate about realizing. Support Catherine Alonzo by purchasing your sponsorship, People’s Choice Votes and/or tickets below to attend our brunch event on December 1, 2018. If you aren’t able to attend, you can still support her by purchasing votes for her to win the People’s Choice Award!